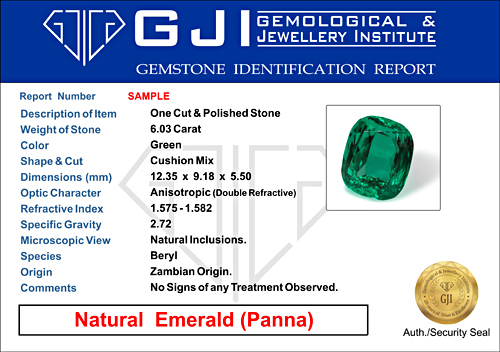 Although selection must and testing must be left to the experts and laboratories, it is good to be aware of different types of gems, their characteristics, background and how they are graded, evaluated and so on. NJ’s series of articles will deal with further insights on soul-gem selection in detail but here is a brief introduction for those that are new on the blog. that kind. Even though it is a sample, technically, this should not be a substitute or artificial stone. For testing too, the gem has to be natural. Slightly heated or treated gems are acceptable only for verification purposes but not for permanent or long-term use. d how one generally feels. This testing period can be extended to 21 days based approval from the analysis. In this duration, one generally notices significant events and a better state of consciousness. Native must discuss with an experienced astrologer after 21 days before upgrading to higher potency or grade. Once the compatibility has been confirmed, then comes determining the opportune time of ‘accepting’ or putting it on. One method is to do this on day & time of occurrence of one’s birth Nakshatra (the lunar mansion in which native’s moon was placed at the time of birth). This could mean waiting for up to 27 days before the time is opportune. Everything has a scientific logic behind it, including which metal ring goes with a particular gem, the correct arm and finger assigned to all gems and so on. As a thumb rule, gems with very few or no inclusions are the most expensive ones. The clearer the gem, the more valuable. Yet, only laboratory-based tests can set the ones with no inclusions apart from glass or artificially created dummies. Even the most experienced gemologists sometimes find it impossible to guarantee a true gem without using scientific apparatus. There are several parameters such as refractive index, specific gravity, hardness, density, composition and so on. The more steadily spread and intense the color, more the desirability. 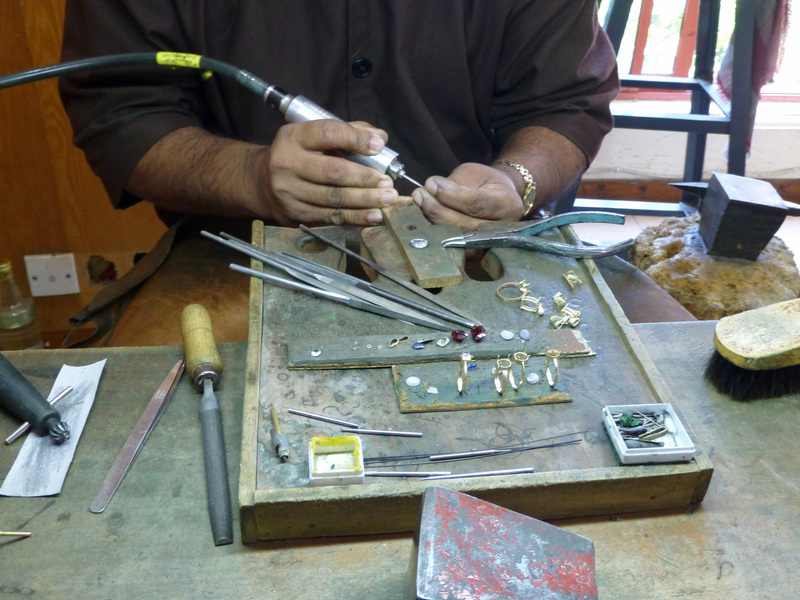 Tone, saturation and hue of precious gems determine their value to a great extent. The tone can be deep, dark or rich; the saturation would show its purity, intensity and brightness and the hue refers to the type of shade it carries. Assuming that the clarity and color both are passable, the weight of gems preferably in carats, as opposed to astrological measure / scale of Ratti’s, matters a lot. Astrologically, the weight of a gem has to correlate with the age and weight of the native wearing the gem. There is some controversy on whether it is the weight of the person, or the age, that determines the ideal weight of the gem. However, experienced astrologers never take one factor in consideration alone when deciding upon the carats. 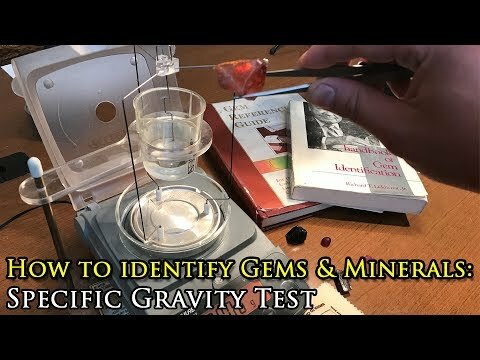 In addition, density and weight of a gem are more crucial than its size. To take the best advantage of a potent gem, the cut has to be fine because it adds to a gem’s value and beauty. The secret is that the cut has to be specific to the native. In transiting lunar mansions, gems are massaged, and a suitable cut enhances the recall and reception of a gem in this process.